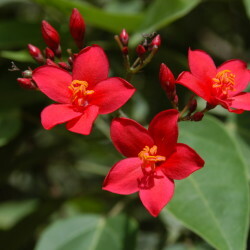 Native to Cuba, this tall, dense, rounded evergreen shrub, commonly known as Peregrina, grows up to 3 metres high with an equal spread, and when mature will be almost like a tree with several slender trunks. 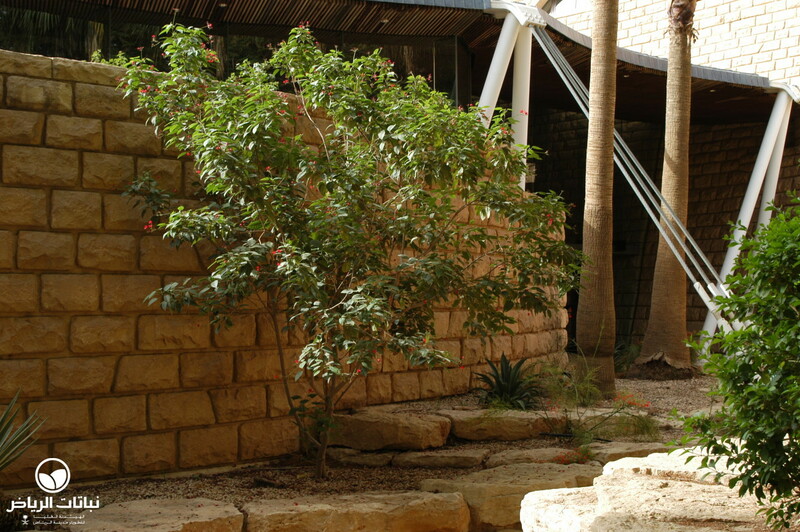 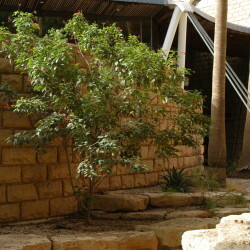 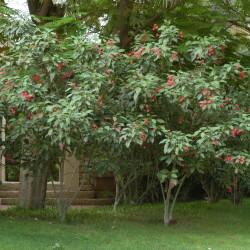 It has been quite successful in Arriyadh in recent years, in both parks and gardens, as well as in urban situations. 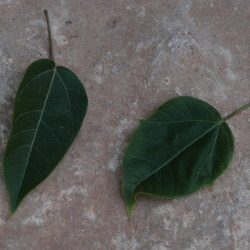 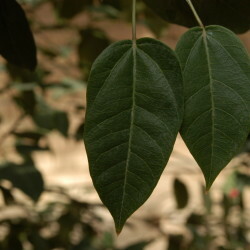 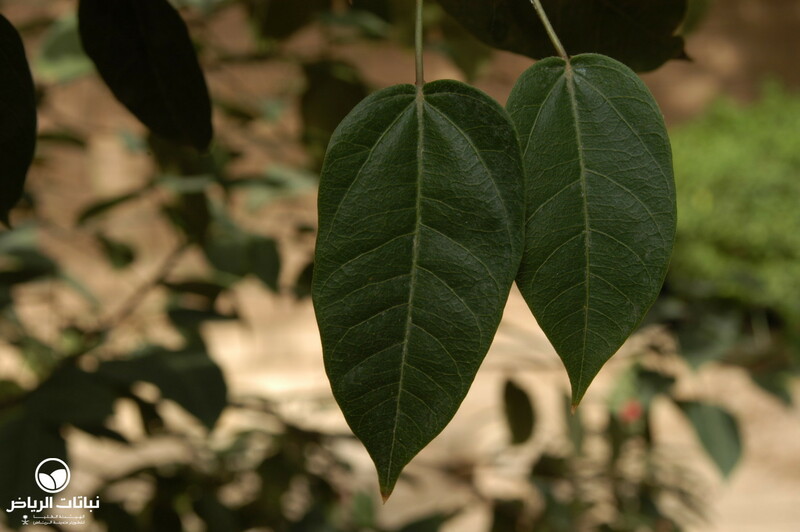 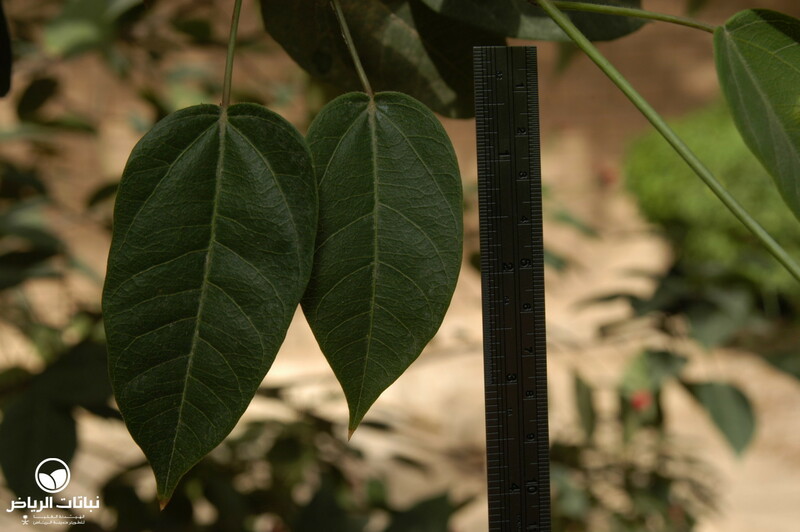 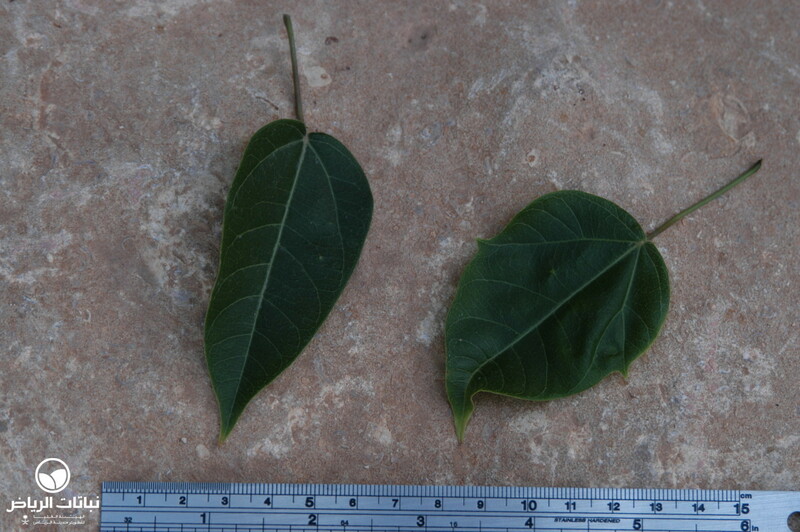 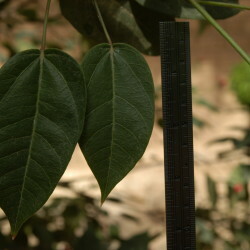 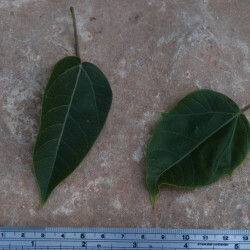 The glossy, oval leaves are about 10 cm long, medium-green and velvety on the upper surface. 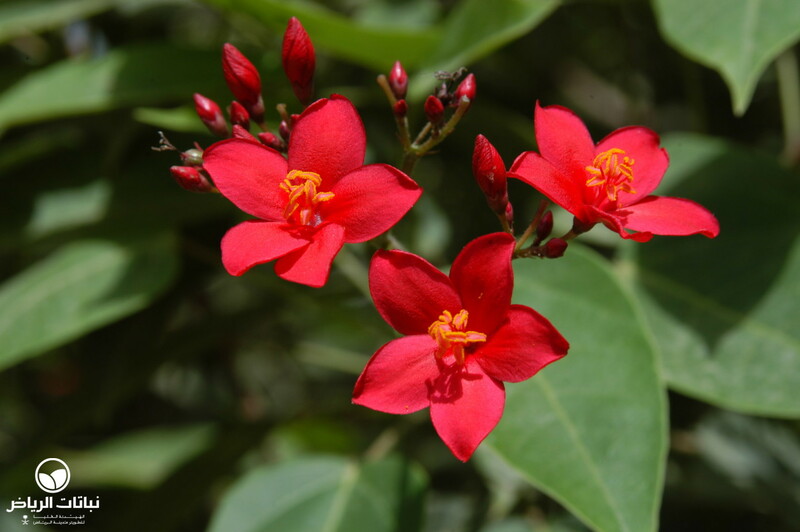 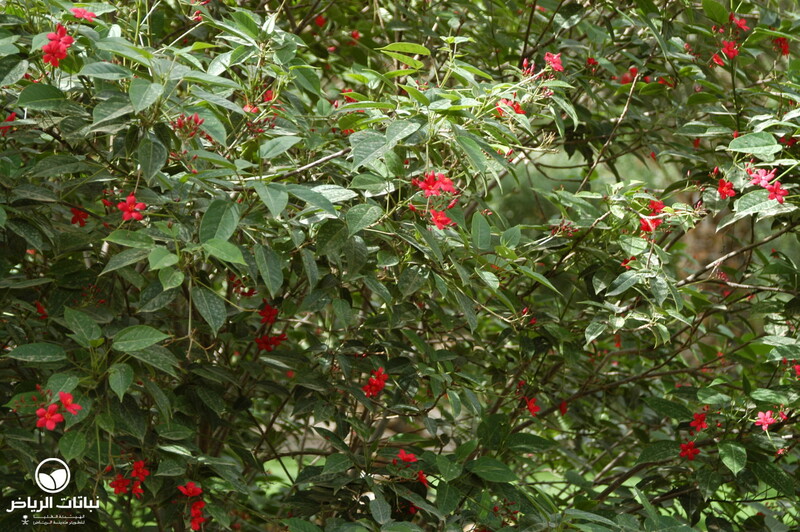 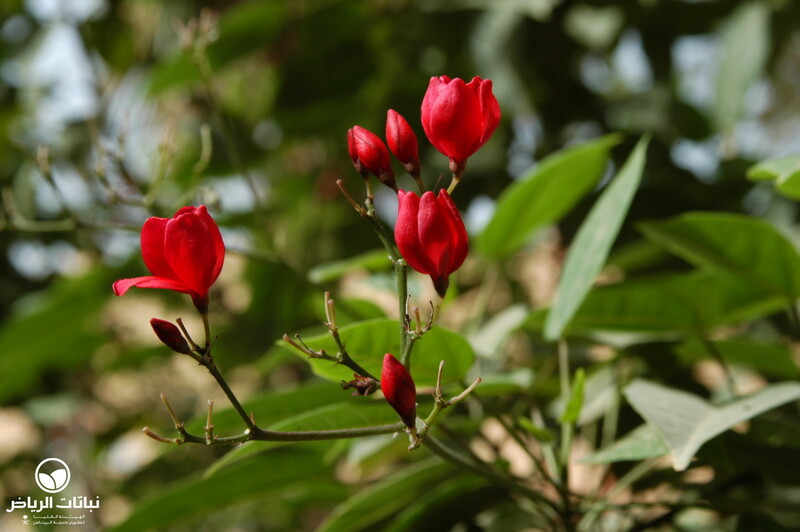 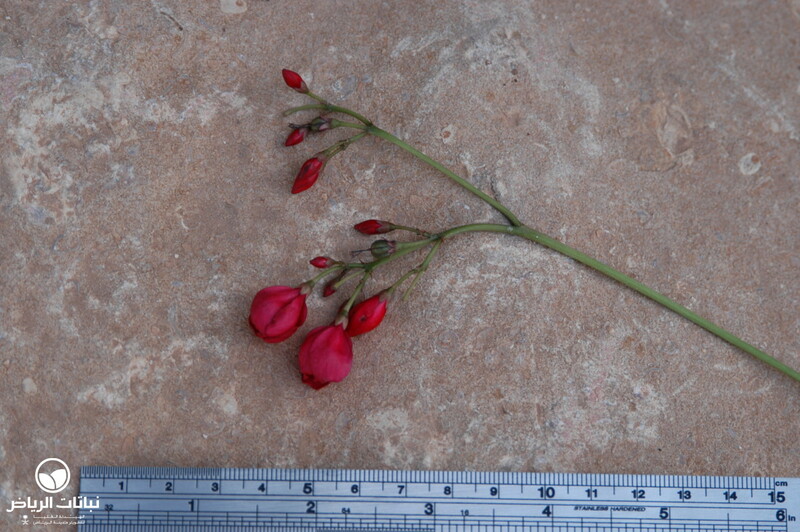 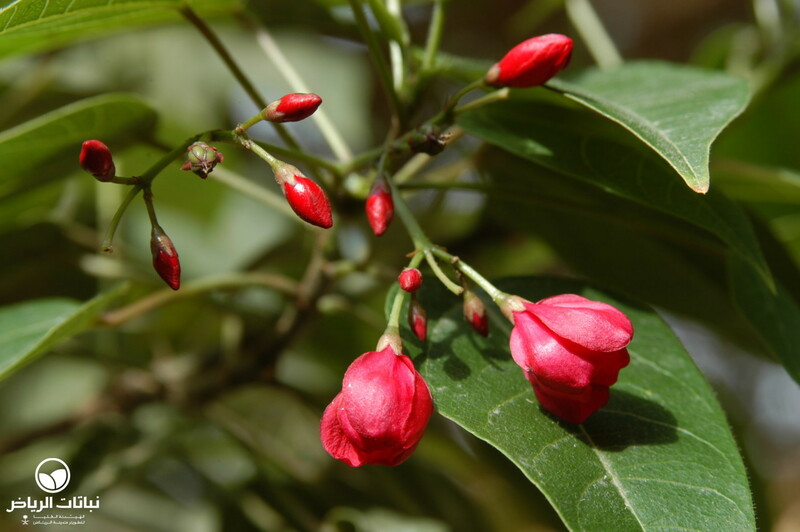 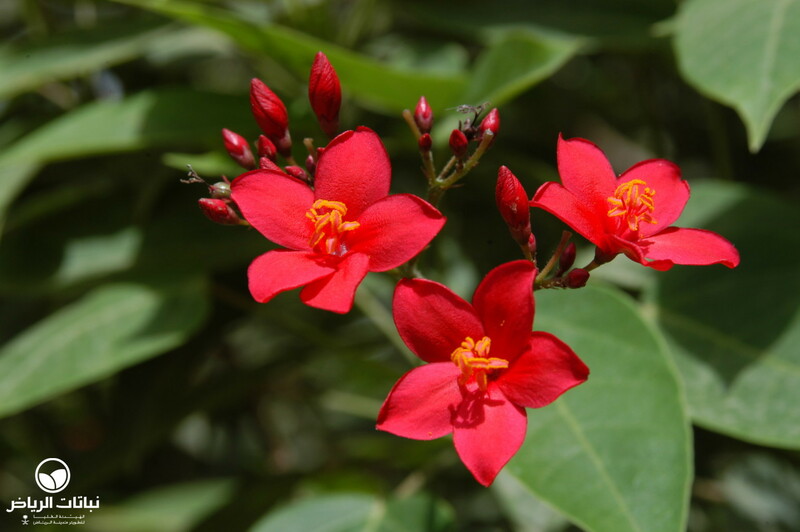 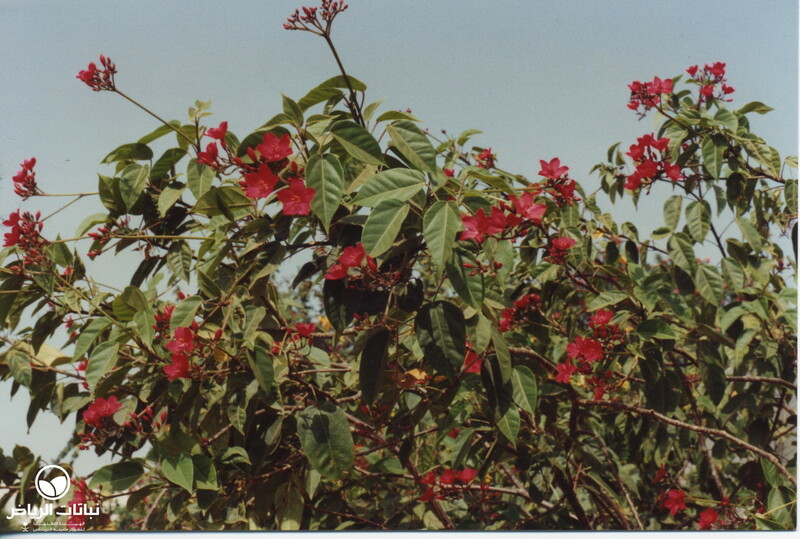 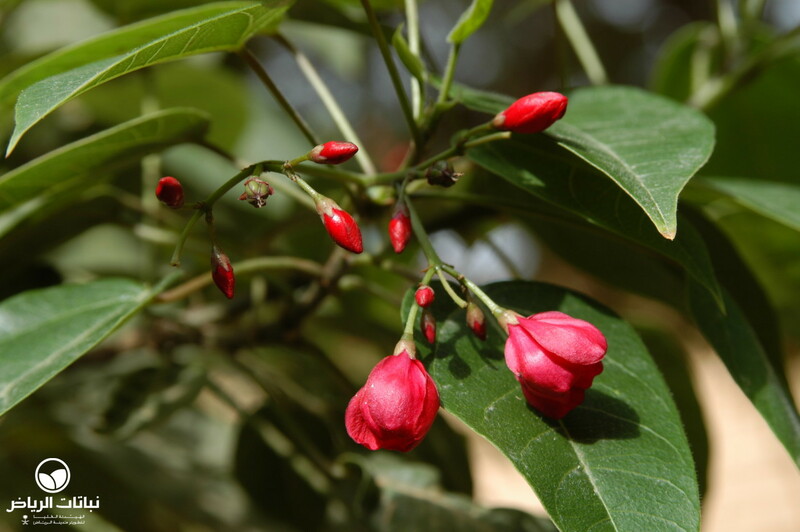 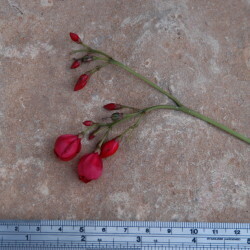 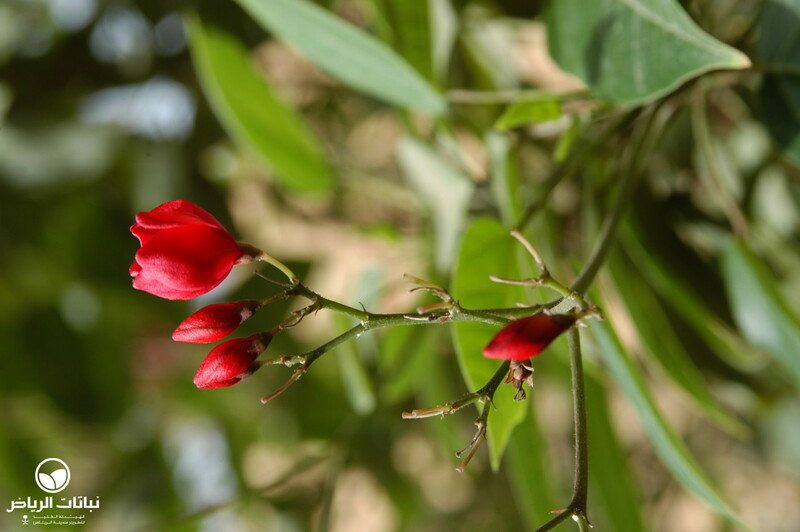 Bright scarlet, five-petalled, star-shaped flowers with yellow stamens bloom in clusters in summer. 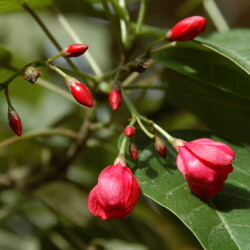 J. integerrima does best in full sun in frost-free locations, but will tolerate partial shade. 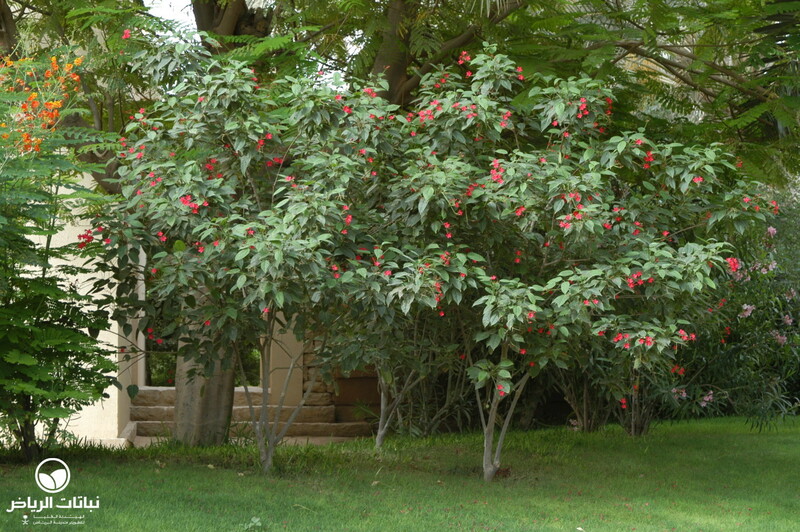 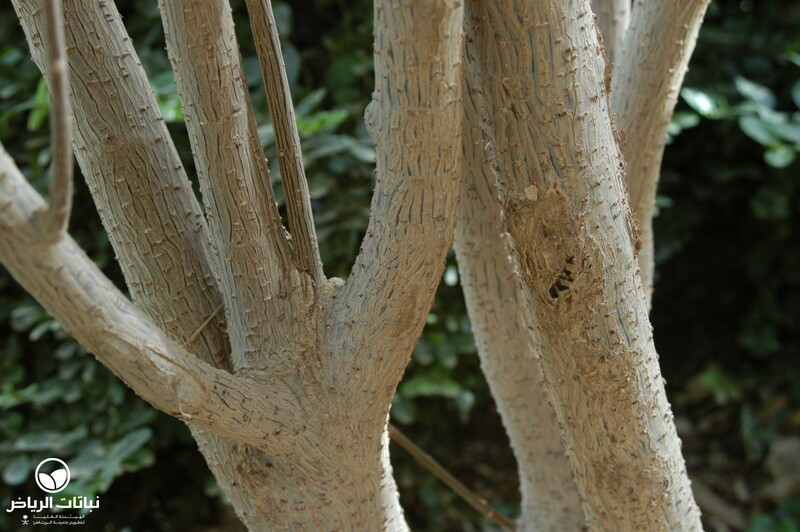 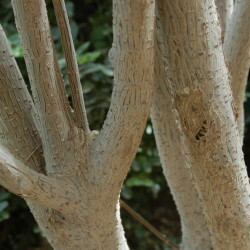 In very cold winters in Arriyadh, it may become semi-deciduous, but the main stems are hardy. 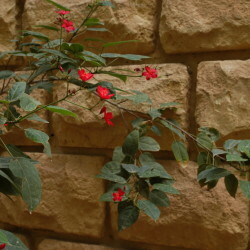 It requires regular irrigation, especially in late spring and summer, but can be classed as a drought-tolerant plant, once established. 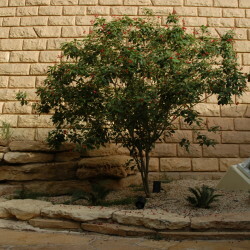 Tolerant of a wide variety of poor and dry soils, as long as these are well draining, the shrub is not tolerant of salinity. 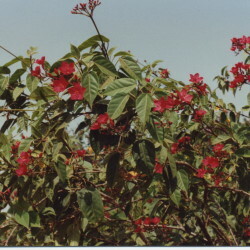 It flowers on the current year’s growth, so it can be pruned at any time of the year. 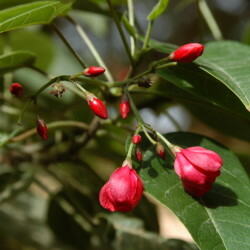 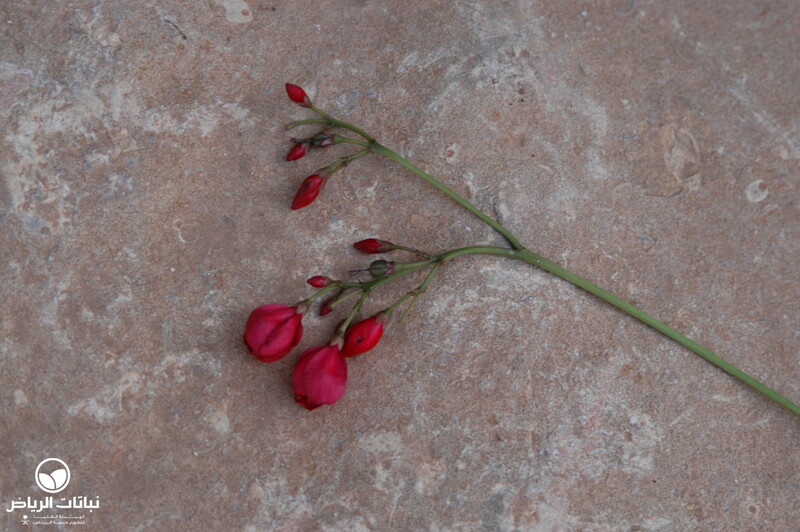 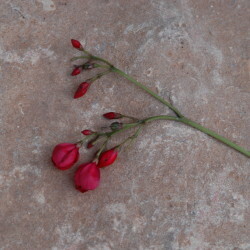 All parts of the plant contain toxic substances. 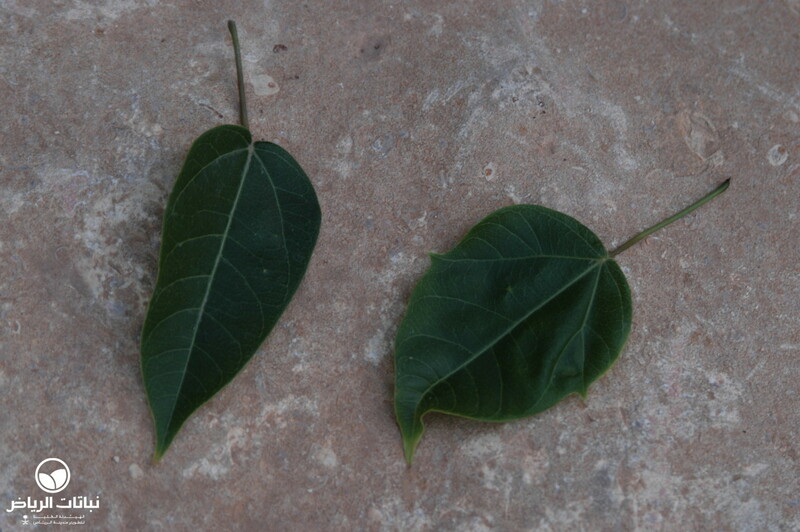 Propagation is from cuttings taken in spring. 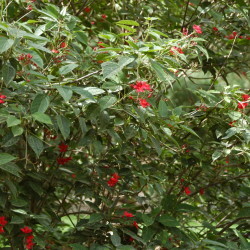 A slow-release fertiliser, applied two to four times a year, will improve the plant’s appearance. 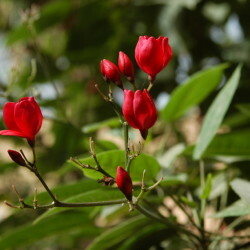 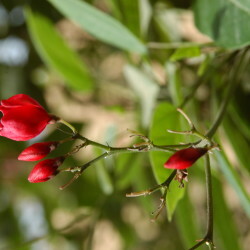 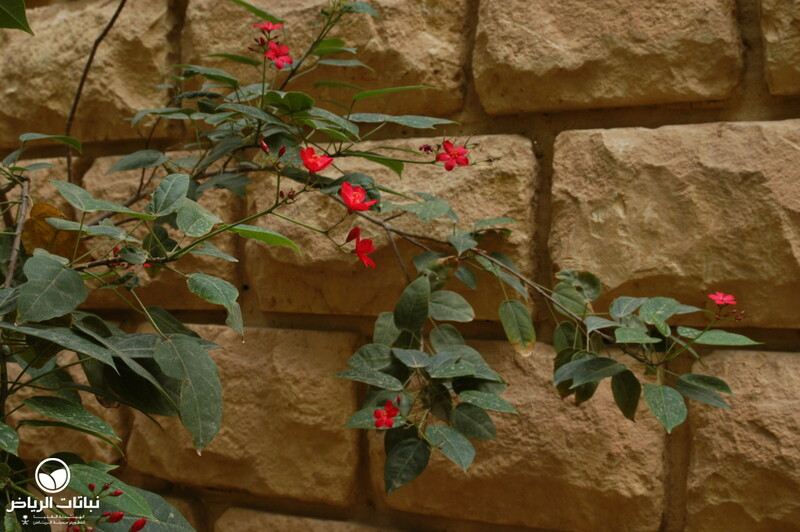 J. integerrima is a spectacular shrub in flower and can be used as an accent or in a shrub border. 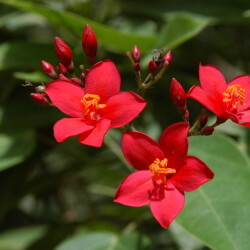 It is also a fine container plant for patios. 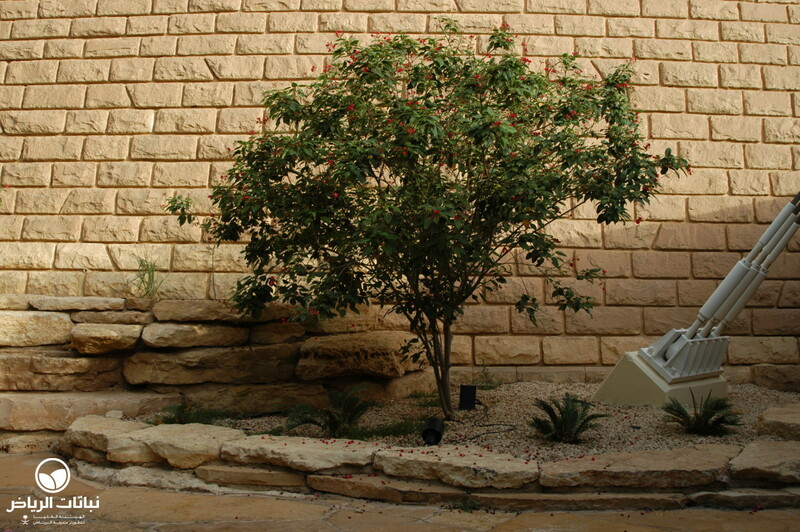 Suitable for planting in buffer strips such as road medians and in urban landscapes squares, some protection is necessary against hot desiccating winds.